Have you experienced a change in insurance plans, recent move or a desire to see a specialist? Whatever your reason may be, finding a local dentist near Santa Monica can run up a long list of potential doctors nearby. But how can you be sure that the dentist you choose has your best interest in mind? What Does My Dentist Specialize in? As you get to know your dentist you may observe that some dentists specialize in providing certain dental services over others. Are you looking to have a particular treatment performed, such as a personalized TMJ therapy plan? To best understand your dentist’s unique skills and specialties, ask about the education, background, and types of services that go into creating your ideal level of care. When you need professional insight and treatment for a specific medical or dental condition, you want to know you will be taken care of by the dentist you trust. If you are looking for a local dentist near Santa Monica, be sure to ask your dentist what services they offer, or give us a call at 310-395-1810 to schedule a consultation. Will I Be Kept Informed About My Health? Have you ever gone in for a dental cleaning and left with barely a word from your dentist? Or are you like other patients whose dentists speak so technically that you leave more confused about your dental health than before you came in? Understanding your current dental health is integral for providing proper long term care for the future. Dr. Ana Brightleaf and her team take an informed and compassionate approach to practicing modern dental care. Everyday we dive further into the process and education involved in delivering meaningful general, cosmetic and neuromuscular dentistry. What affects your oral health affects the health of your entire body. When we work together with you to achieve your ideal level of dental health, your life can truly improve. To find out more about your dentist near Santa Monica, give us a call at 310-395-1810 to make an appointment. We look forward to meeting you! As a graduate of the University of North Carolina with a double major in Math and Chemistry and a graduate degree from the University of Florida dental school, Dr. Brightleaf’s background is firmly rooted in science. She understands that the key to achieving optimal dental health is to take into account the health of the entire body. Her specialties reside in general, neuromuscular (TMJ), cosmetic, sleep disorder and holistic dentistry. From TMJ treatment to teeth whitening and dental implants, Dr. Brightleaf and her team provide a wide range of treatment options in modern dentistry. Not only are more treatments available in-office but they are provided by a team specially trained and experienced in the field. Have you encountered a dental emergency such as a broken or knocked out tooth? Give our office a call at 310-395-1810 for emergency dental care in Santa Monica, where we can schedule same-day visits and quickly relieve pain while restoring your smile. At Brightleaf Dental patients stay informed about their dental health. Dr. Brightleaf and her team collaborates with you to listen to your questions, suggest a range of available treatment options and explain each process in easy to understand terms. Patients are never kept in the dark about what to expect of their treatment. As a result, quality of care is improved and only treatments that are necessary are performed. It’s easier to feel calm and relaxed at the dentist knowing your quality of life is in the best interest of the entire staff. 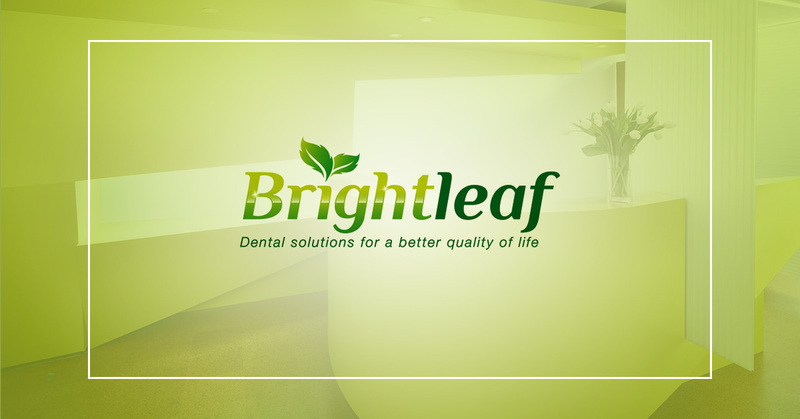 At Brightleaf Dental we’re proud to serve as your local dentist in Santa Monica. By using the best treatment methods and experience in patient care we help members of our community experience better health and comfort. Give us a call today at 310-395-1810 to schedule a consultation!